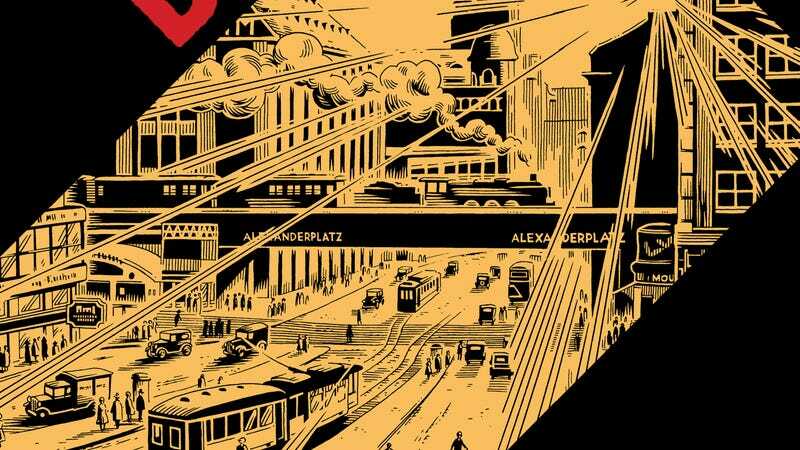 22 years in the making, Jason Lutes’ Berlin is a sprawling work of historical fiction detailing the rise of the Nazi party in a fractured Germany struggling to recover from the devastation of World War I. When Lutes began his comic-book series in 1996, he couldn’t have known just how relevant it would be for the political climate of 2018. This tale of a fear-mongering, immoral political power taking advantage of a vulnerable populace resonates strongly in a time of intense xenophobia and open, unpunished corruption in the U.S. government, and Lutes’ work examines the social landscape that makes it possible for these forces to take control. Berlin does this by focusing on an early period in the Nazis’ rise, when their ideas grew in opposition to the city’s burgeoning Jazz Age culture. Meticulously researched and rich with specificity and complexity, Berlin puts readers deep inside this urban environment by giving them an intimate look at the lives of its residents. The impeccable detail of Lutes’ linework and the wide range of his character acting creates a story that is immersive in both atmosphere and emotion, creating a deep sense of empathy for his cast. This exclusive excerpt from Berlin, on sale now in comic shops and bookstores, highlights both civilian suffering and political conflict with two very different perspectives on the fallout of the May Day riots that saw 32 people killed in a clash between Communists and police. In a dilapidated vacant building, a young girl attacks the man who convinced her mother to march to her death. These first two pages have a wild energy that is severely diminished when the action shifts to a panel publicly interrogating witnesses and participants in the riot, but the tension takes a different form in the town hall. The shot of a room filled with bystanders emphasizes the public’s investment in this investigation, and this committee’s findings will have an impact on their everyday lives. But the most chilling part of this excerpt is the final conversation, where the head of the commission tells his friend that he’s being charged with treason from a “faltered state faced with evidence of its hypocrisy.” Treason was a word recently thrown around after the anonymous New York Times op-ed criticizing the current U.S. administration, and in these pages, we see that this accusation has long been used to stomp out dissent and prevent other voices from speaking out.